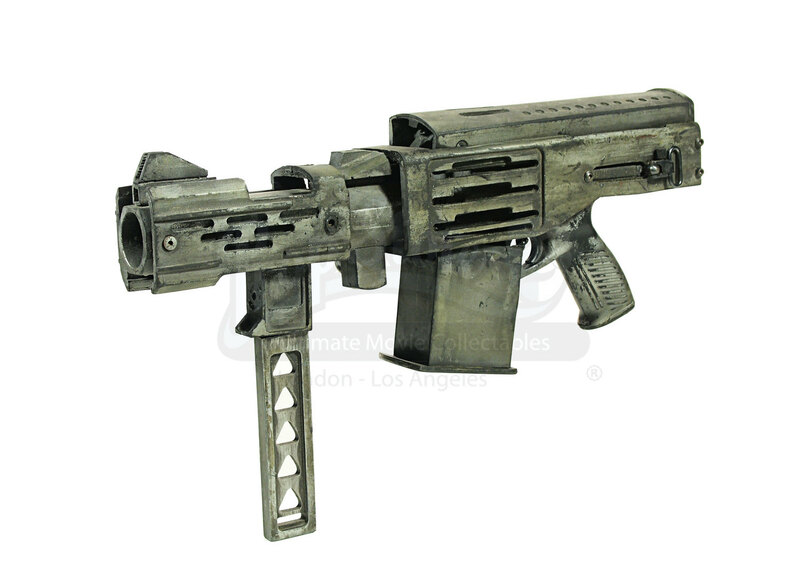 A stunt gun used in the action sequel: The Chronicles of Riddick (2004) starring Vin Diesel. 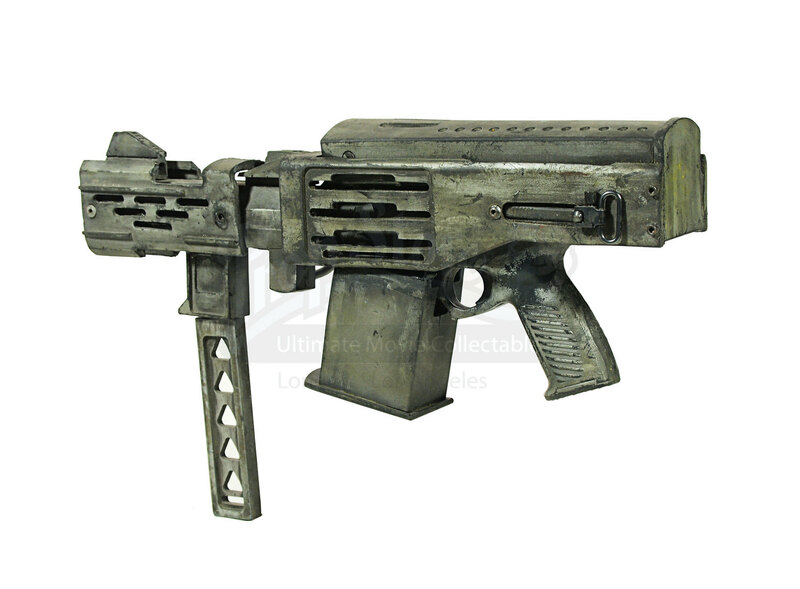 The slam guards were seen using these weapons during the sequences on Crematoria and towards the end of the movie. 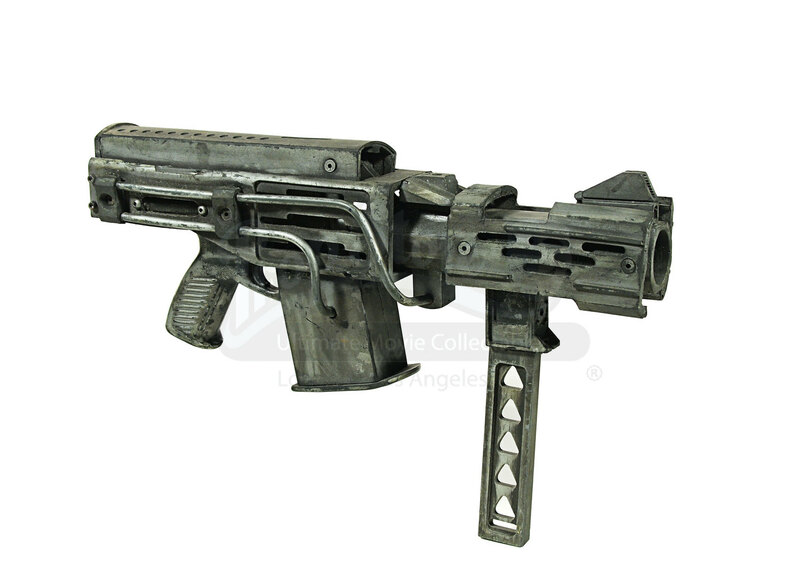 This particular weapon is made from rubber and plastic that has then been painted a metallic dark grey. 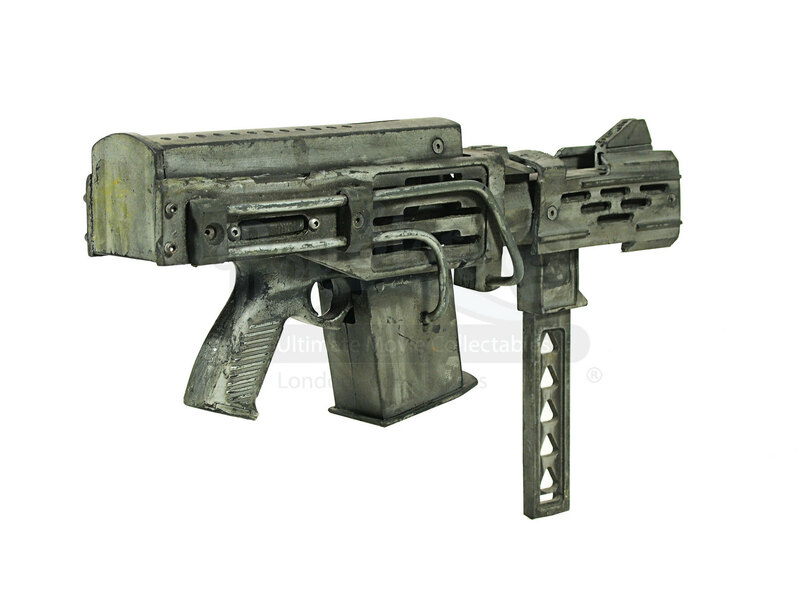 The gun features such detailing as the barrel, magazine and trigger which all have a fantastic futuristic design. 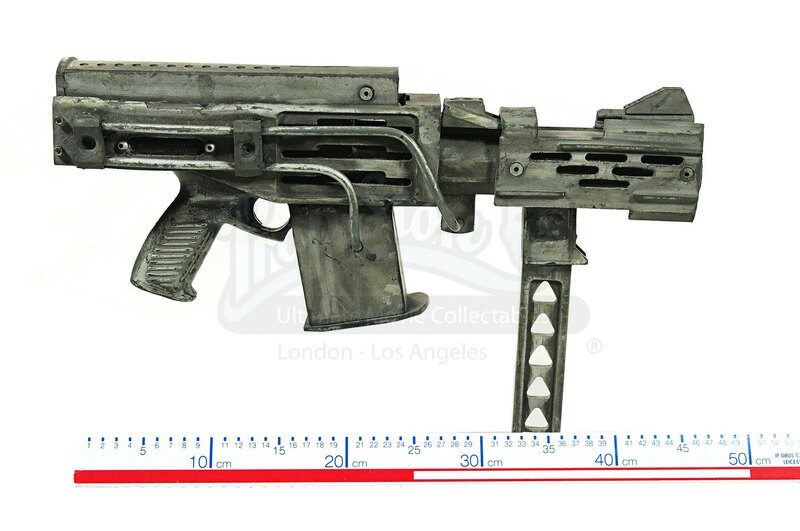 Due to set use there is some distress to the piece which is to be expected for such a battle-damaged prop, but remains in good overall condition, measuring approximately 48cm x 27cm x 8cm (19" x 10.75" x 3.25").